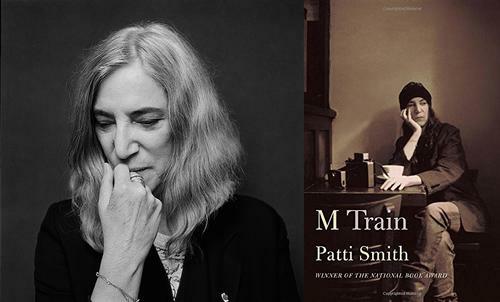 Patti Smith—poet, punk, and provocateur all rolled into one scorching soul, will be appearing at the Free Library this evening for a waaaaaaaay sold out Author Event to discuss her new book M Train. The book is a bit of a departure from her award-winning memoir Just Kids, this time shifting to more stream of consciousness musings on her current life (she really enjoys crime shows?! ), her time spent drinking black coffee in cafes, her many travels near and far, waking dreams of her past and present melding into one, and the overarching themes of life, love, and loss. What else can attendees of tonight's event expect? Maybe we'll be witness to an impromptu musical performance? Or a spontaneous poetry reading? 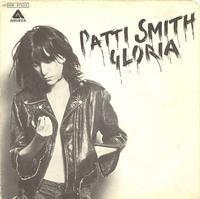 That's the great thing about Patti Smith as an artist and human being, as the above image suggests—Anything Is Possible. I know I had no idea what to expect the first time I saw her perform live. In all my many years of attending shows in basements and hole in the wall dives to stadium concerts and beyond, I never had the chance to see and hear Patti Smith perform live until 3 years ago when she rolled through town as the opening act for Neil Young and Crazy Horse. I had to go. It was your typical big arena rock concert experience with all of the cliché trappings of an event of that magnitude, but when Patti and her amazing band, still led by her longtime collaborator and friend Lenny Kaye, revved up their amps and began to play, everything else faded away. I got up out of my seat and had to make my way to the front of the stage, however fruitless of an endeavor that was. The closer I got, the more crowded it got; sweaty denizens from all over the age map of tweenage to baby boomer covering every square inch of the arena floor. But it was the music that kept me sane in insane circumstances. To say that "Gloria", from her standout and still legendarily years ahead of its time album Horses, was bombastic and beautiful at the same time would be an understatement. There aren't many greater opening lyrics in the history of music than "Jesus died for somebody's sins but not mine". Once the band lunged into the churning garage rawk chords and choruses, it felt like I was in an intimate club watching a bare bones rock 'n' roll blitzkrieg. During that performance, in that moment of time—anything was possible. In the current state of the world, another of Patti's songs—"People Have The Power" (taken from the above concert I attended)—seems to resonant more and more each passing day. Hopefully we are all listening. For those unable to attend this evening, rest assured we will be posting the podcast to our website early next week. In the meantime, you can listen to two previous Author Events podcasts featuring Patti Smith from 2003 and 2010 respectively.